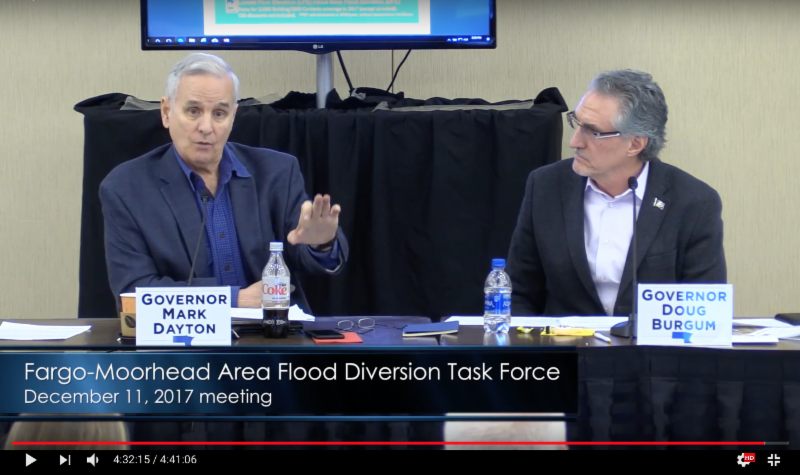 Leaders of the Diversion Board of Authority were encouraged following the fifth and final meeting of the Task Force which was formed by North Dakota Gov. Doug Burgum and Minnesot a Gov. Mark Dayton to find a solution to permanent flood protection for the Fargo-Moorhead area. “A Minnesota permit is needed to resume construction and the recommendations made by the Task Force are a big step towards obtaining that permit,” Moorhead Mayor and Diversion Authority Vice Chair Del Rae Williams said. “There are still several difficult steps in the process ahead of us, but this Task Force shows that when we work together to find common ground, we can find answers.” Read more . Watch the last meeting here . All presentations, documents and videos of the Governors' Task Force meetings are available on FMDiversion.com.